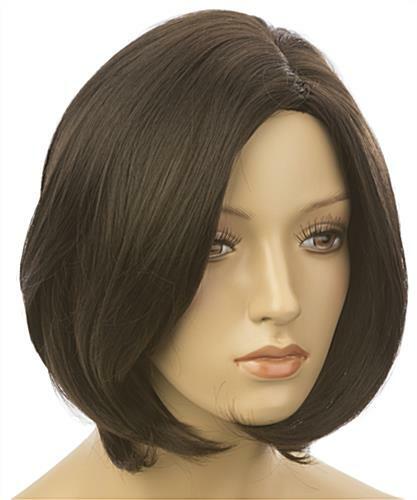 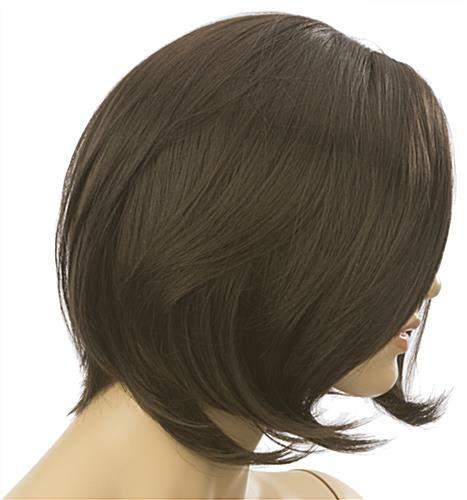 These female mannequin wigs with short hair are styled with a fashionable bob hair cut. 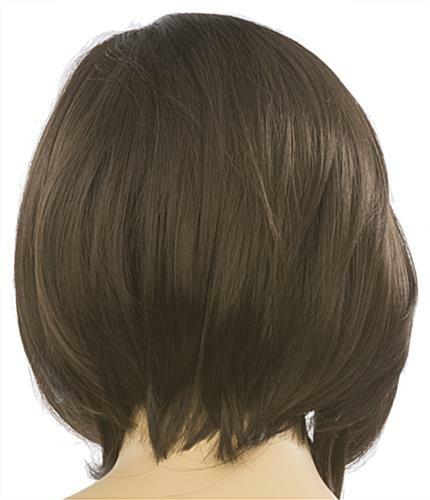 The 100% Japanese Kanekalon fibers are soft, lightweight and have a natural texture for a realistic appearance and feel. 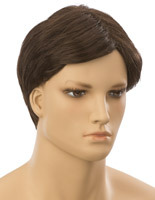 The dark brown mannequin wigs are non-flammable. 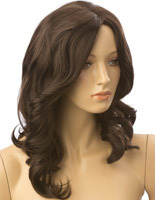 Each accessory can be placed on any standard mannequin for use. 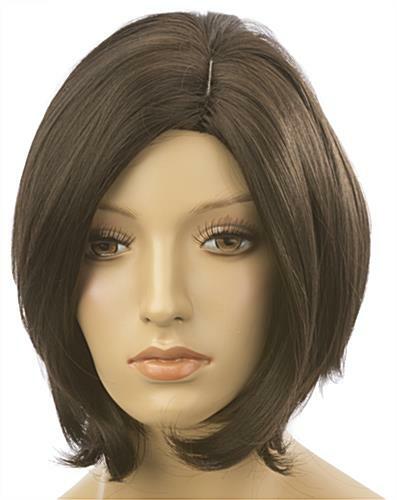 The wigs are 12" long and dark brown to match any clothing style!